Have you always been interested in obtaining a forklift ticket but you’re unsure on whether it is worth it? If you’re still on the fence, keep reading and let us enlighten you. Once completing a forklift course you are provided with the opportunity to transport goods and monitor equipment operation. Attachments can be used with forklifts to ensure work can be completed as successfully as possible. Rotators, man baskets, scales and roll clamps are just some of the attachments you could be working with once you obtain a forklift ticket. Forklifts can withstand extreme conditions and have been built to last. Their tyres have a thick tred to manage uneven or muddy terrains. Their durability ensures that no job is too small to handle! During forklift training you are thoroughly educated about the all-round use of forklifts in the workplace. Construction sites rely on forklifts as a mode of transporting building materials across terrain. Forklifts are a necessity in warehouse operations. They are used to load and unload trucks and transport goods. Forklifts come in a range of sizes to ensure they can fit down narrow aisles. Forklifts are used to unload recycling trucks. Cage attachments can be utilised to carry items such as tyres which may otherwise fall in between the forks. The use of a forklift at boat harbours is integral to ensure that large containers can be easily transported to storage areas and then onto the ships. Why is it a valuable skill? 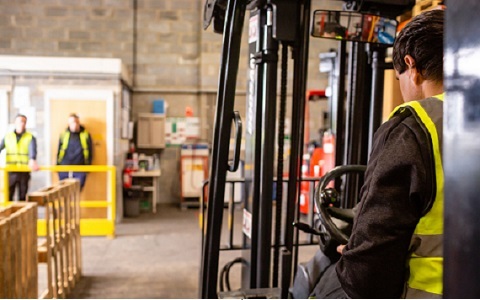 Having a Forklift ticket is an incredibly valuable skill as you not only learn how to operate the machine in a range of environments, you also build on your teamwork skills to ensure you can be helpful to others as a forklift operator in the workplace. Not only is it an incredibly valuable skill, it is also easily achievable with the opportunity to complete a forklift course within a matter of days. The simple answer is… Yes, they are in high demand. Having a forklift ticket is an excellent skill to have and is highly regarded in the Labour Hire and Warehousing industries. Adding forklift training as another licence to your tool belt is beneficial to you and your resume! We have the ability to provide you with the best knowledge in the field. Get in touch with NARA Training and Assessing today!